Each year the Hirshhorn Museum Conservation Department implements a maintenance program for the outdoor sculpture collection. 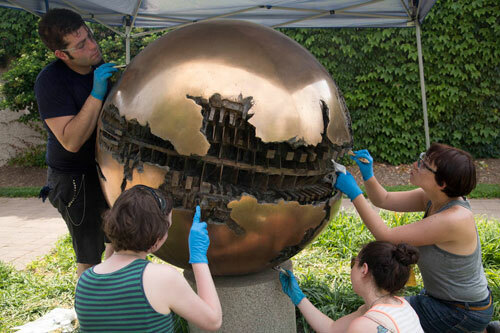 For the 2019 season, the Museum is offering a full-time outdoor sculpture conservation internship for one graduate level candidate. The internship will span eight consecutive weeks, beginning in mid/late June, depending upon the availability of the successful candidate. A stipend of $6000 will be offered. The internship is designed for candidates who are currently enrolled in an accredited art conservation degree program. The participant will receive hands-on practice to outdoor sculpture conservation and opportunities to assist with other conservation related projects related to the care of a contemporary art collection. The intern will carry out a variety of conservation treatments on the outdoor sculpture collection, document sculpture treatments through treatment reports and digital documentation, learn the properties and application of a range of conservation materials, and utilize specialized tools and analytical equipment in the performance of their daily duties. In addition to treating and examining artwork, the intern will be performing other essential conservation tasks, such as conducting gallery inspections, monitoring environmental conditions in the collection spaces, and assisting with exhibition-related tasks. The ability to work independently and as part of a team, as well as strong communication and decision-making skills are required from the candidate. 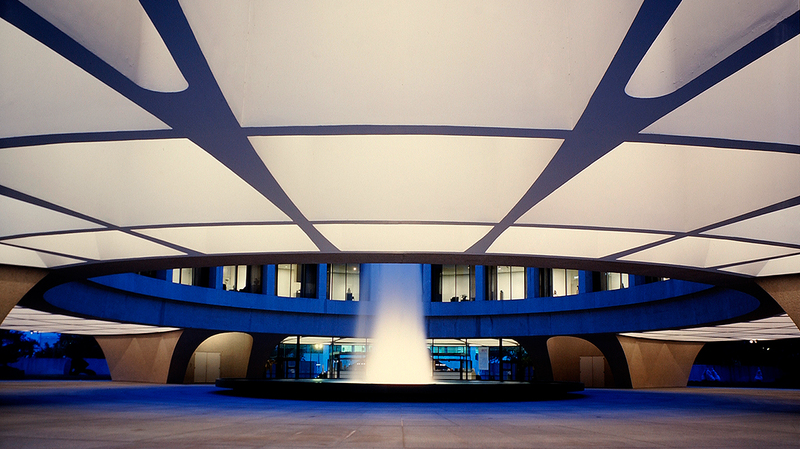 The Hirshhorn Museum and Sculpture Garden has more than seventy sculptures situated throughout its sculpture garden and plaza areas and consist of a variety of materials including stone, bronze, iron, aluminum, plastic and (painted) steel. The outdoor sculptures receive annual maintenance conservation treatments that may include washing, the application of protective surface coatings, repainting, and structural repairs. This work is performed mostly outdoors, is strenuous, and often requires working in very hot and humid conditions. Applications should be sent directly to Stephanie Lussier (LussierS@si.edu) no later than COB Friday, March 8, 2019. Please provide a brief motivation letter, a resume, and a minimum of two reference letters. For more information about the Museum’s collection, please visit the collection.